What is your Hijrah (migration) going to be? How will you leave your comfort zone? First and foremost, sacrifice my sleep and be consistent with my Fajr Salah and Tahajjud (night prayer). Prioritize and MAKE time for my morning and evening duas. 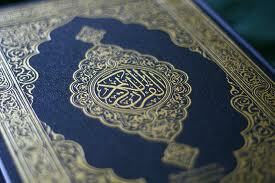 Give Qur’an and Salah (prayer), its due Haqq (right). Struggle with my nafs (soul), and hopefully succeed in becoming a truly humble slave of Allah (سبحانه و تعالى). Remain silent in times of anger, instead of letting my ego get in the way. Follow the ahkaam of Allah (سبحانه و تعالى), without trying to justify or make excuses! May Allah (سبحانه و تعالى), help me leave my comfort zone and strive with true fervor in Allah (سبحانه و تعالى)’s cause! Ameen. This entry was posted in Reflections and tagged Act, Commands of Allah, desires, hijrah, Jihad, Jihad bin Nafs, migration, Pleasing Allah, Struggle, taqwa. Bookmark the permalink.